My #1 Annoying JSP editing bug is that Basic Completion has broken behavior. the currently selected completion and then output the SPACE, semi-colon, etc. 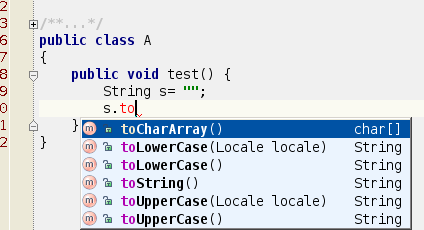 choices, and I selected toCharArray(), then I hit semi-colon. the current completion choice, all it does is cancel the completion dropdown list. same problem, and I'll open a Jira ticket. that applies to JSP EL completion.